Do you struggle to improve your website traffic? Do you feel frustrated when opening your Google Analytics dashboard or your SEO tracking tool? Do you want to improve the website performance but only have a small budget? No worries: sit down, take a breath, and keep reading this article. Obtaining more web traffic is not a one-step procedure: we are about to show you 8 proven tactics to succeed. Why web traffic is crucial? Not every business is exclusively digital (just think of a restaurant or a dental office) but still, a website is the most important asset a company owns. Indeed, it is far more likely that a future customer hears about you surfing the Internet that than walking in front of your shop or office. And what is your best business card? Your website, of course. After all, the world has changed and now people don't buy from you if they don't trust you or don't know you very well. What does it mean? Your digital assets (the website, just like the social media channels) are considered and reviewed thoroughly before making a purchase. And what's more, potential customers are not satisfied just by reading the information you provide, they want to learn what other people - i.e. your existing customers - think about you: users search for reviews, testimonials etc. while considering your brand. Well, this is an opportunity to show your unique selling point (USP) and your brand identity in a compelling way. Still scared? OK, chill out and follow our suggestions step by step. Writing a great piece of content for someone else's website is a great way to stand as an expert in your industry and to drive that audience to your assets. You can reach a broader audience with ease. The downside? It's tough to find the right "hosting platform", the ones that can accept your proposal and that can assure you a high-volume traffic. Lucky you: Google is out there giving you a help. You will find a list of guest blogging websites relevant to your industry. But how to be sure it worth the pain to write for them? After all, composing an article requires commitment and you don't have time to waste. 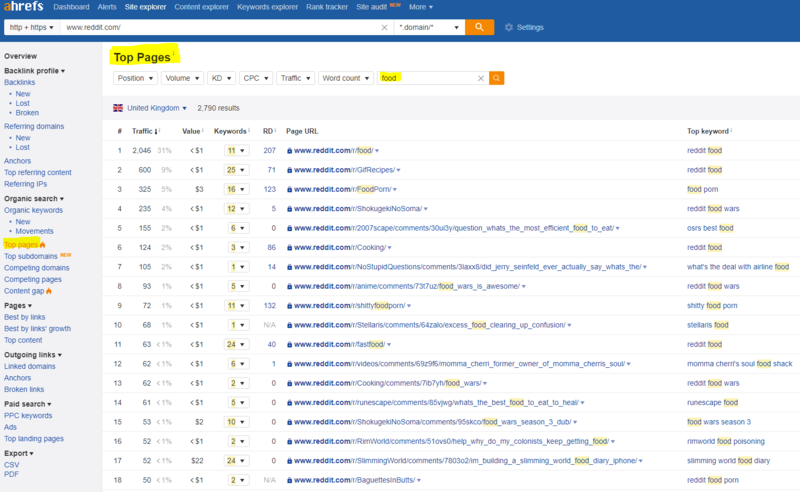 If you are an Ahrefs user, the solution is at hand: download their toolbar browser extension to see immediately the traffic of the websites featured on the SERP. Focus especially on the domain rate (DR) and the monthly organic search traffic (ST). Yeah, social media platforms didn't kill forums at all, and they are still valuable for your business. Why? Because they create communities, people who love to chat and ask for advice. There are a variety of different forums and question-answering sites, focused on particular topics, but more comprehensive platforms that host a discussion on tons of stuff already exist. Some examples? If you start answering users set of problems with competence, people will consider you as an authority, somebody worth listening to. The consequence? Your site will increase traffic and gain backlinks. Anyhow, be careful: answering to each and every question about your industry could be just a waste of time. This way you can be sure to get involved only in conversations that worth the pain to be started. They can link back to your site URL in their online articles - and a backlink from an authoritative newspaper as The Guardian or The Independent would be priceless for your SEO strategy. There are several ways you can reach out to the newspaper or the journalist who is relevant to your business. a) Press request alerts are a gold mine to generate website traffic and high-quality back-links from an important newspaper. Journalists contact over and over again influencers and mavens that can give them the answers they are looking for. Want you miss the opportunity to help them and gain a mention/backlink? But how to find the right journalist? Through press request alerts, easy to say. 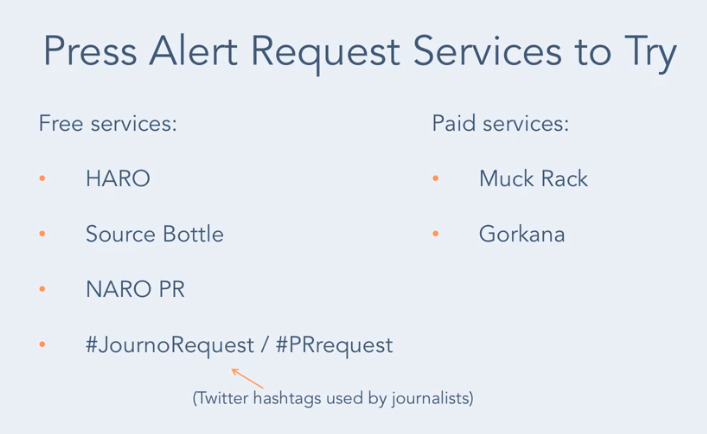 Press request alerts are platforms that put in touch the press with companies and experts. You can set the topic you may want to be reached out for and the system automatically sends you the relevant requests directly into your inbox. A suggestion: answer quickly or the journalist may find the information elsewhere. 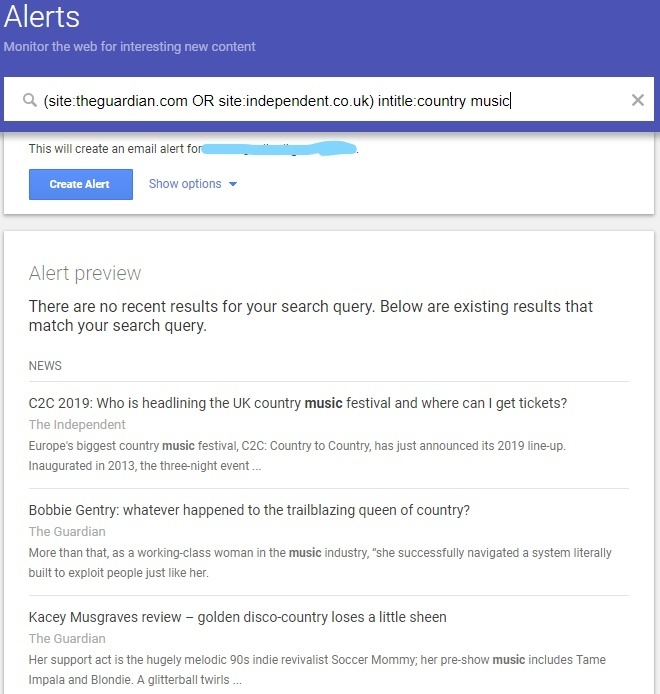 b) Google Alert is a great integration of a request press alert, though not all the journalists you might be interested in are consistently using that sort of platforms. 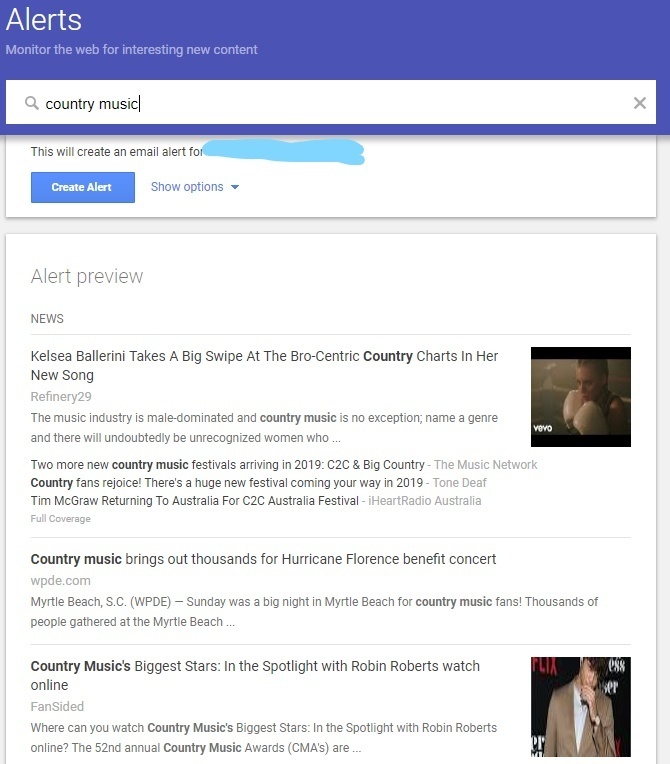 Google Alert sends you an email with a list of content published in a selected country, during a span of time you choose. Its strength? You select the topic you need to target. Just type the topic you are interested in on the search bar (see the screenshot below). This kind of research allows Google to get an email to you each time the newspapers you chose to publish an article about that topic. In this way, you can note of the most influential journalists in your industry and email them to suggest a change or an integration. The most famous social groups under the sun are Facebook's ones. a) On that platforms, tons of business group already exist and you can join them to start talking with your peers: start a conversation about a pain point to your industry, give advice to less experienced colleagues, stand up as an expert and the website of yours will benefit consequently. b) A less "exploited" social media channel is Pinterest, that host several (business-focused) groups. Go to Pingroupie - the Pinterest Group Board Directory - and look for the topic you are interested in. 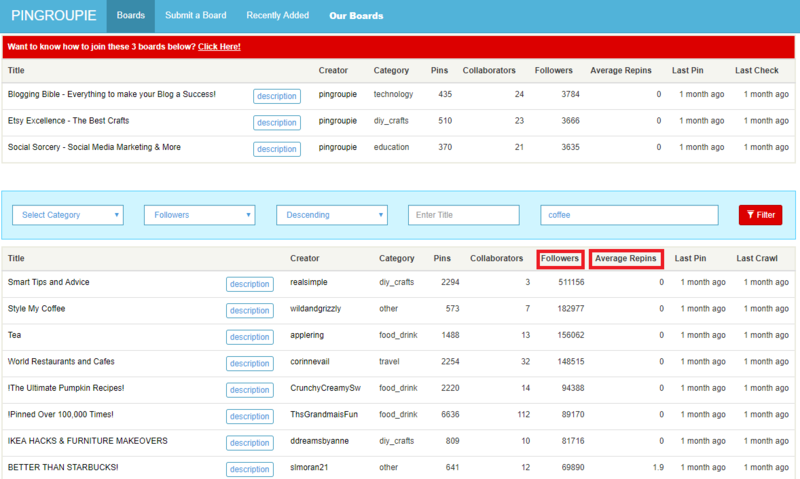 The system will show you a list of the most relevant group, as well as some metrics to consider carefully: the number of followers and the average repins are among them. When you have found the right groups for you, just contact the owner and call for joining it. There's nothing more powerful for your business to solve someone's problem. No doubt you have a bunch of competitors who run a very similar business, maybe in your own city. What can you do in order to stand out against them? Publishing and creating content that REALLY solves your prospects' needs. Obviously, the first step is to understand what's your customer's struggle and to figure out what you can do to help him/her. Looking back at your buyer personas and you'll get the answer. Content marketing is the heart of a website strategy. Without a great content shown on your website, people strive to find you and perhaps will hardly understand why you are the best in your industry. 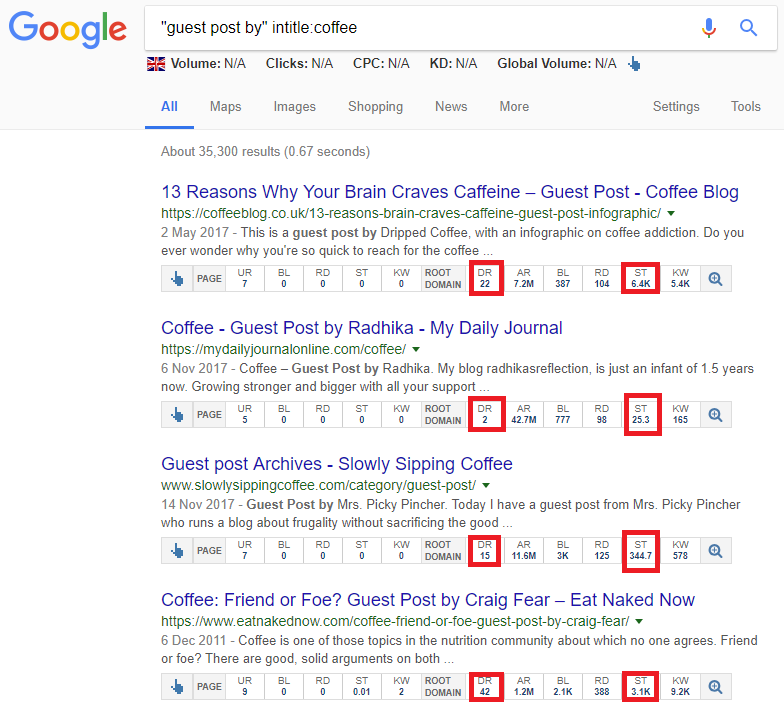 Maybe you think a short article/post published on your website is the best way to get your readers engaged and to rank higher on Google. Well, you're wrong! Search engines and users prefer long-form content (the most loved ones have a 2,500-word length or greater). What does it mean? 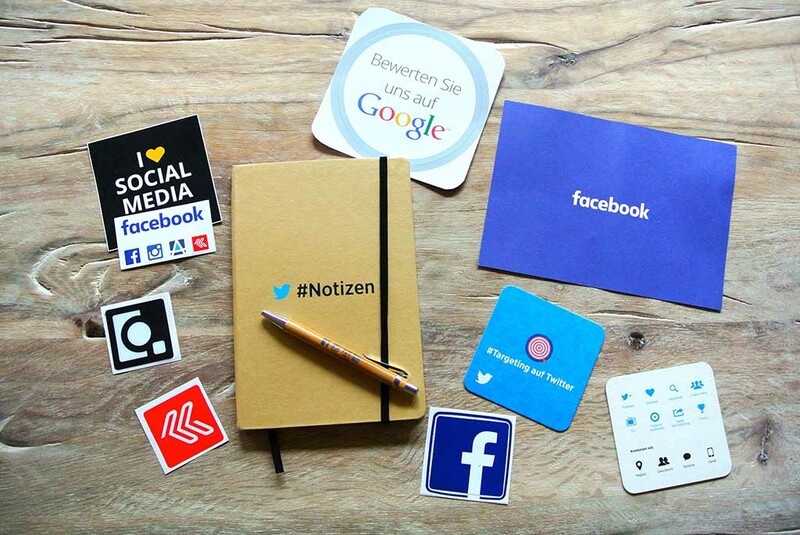 That your perfect content contains such of information which can be divided into tons of tweets or social posts. But don't expect readers to do the job for you: you must push them to share your content (or pieces of it) on their social media account. Let's dive into a simple and effective way to do it: social sharing buttons. I'm sure you are familiar with those clickable buttons you put at the end of an article or on the side of the page. Nevertheless, you can go the extra mile inserting different buttons that allow your prospect to share just some phrases or concept. Furthermore, you should break down into several snippets and promote them on your social assets (especially Twitter). Add a different photo for each tweet and go. In this way, you can extract like 50 tweets from a single piece of content. Once your article is out, you shouldn't forget about it. Creating consistently new posts is not easy, especially if you don't have a big content team. Repurposing is the effortless (and cheaper) solution to your problems. Facebook and Google AdWords are probably the most common advertising platforms for digital marketing, but they are not the only ones. So why miss the chance to promote your website elsewhere? Let's settle something right now: Facebook and Google ads are a great source of web traffic (of course!) but there are cheaper places by which find your leads. Let's dive into 2 of them. Pinterest: is one of the cheapest platforms and it provides a higher CTR (click-through rate), much like a high-quality qualified traffic. Yahoo Gemini: assures you a cheaper cost-per-click and a worthy CTR. Regardless of the platform you most like, remember: the first thing to do when deciding which is the best platform to spend your money on is understanding where your target audience is. For example, if your customers don't use Pinterest, it would be worthless to spend money on it. Now that you know exactly how to promote your website from scratch, start applying that tactics in the order you prefer. Are you already using some other strategies? Have you found the article useful and those tactics have led you to a successful outcome? Let us know leaving a comment below!